Life is Good Cartagena Hostel v Cartagena, Colombia: Zarezervujte nyní! Life is Good Cartagena are brand new accommodation and have air conditioning, as well as en-suite washrooms, breakfast is included in the price of the reservation and restaurant on-site, guests can enjoy ceviches, pastas and freshly squeezed juices, amongst other services. Our facilities include laundry services, transfers from and to the airport to our premises, a communal kitchen allows guest to cook meals during the length of their stay, free WiFi and a sun terrace with jacuzzi, Life is Good Cartagena Hostel has no elevators on-site. 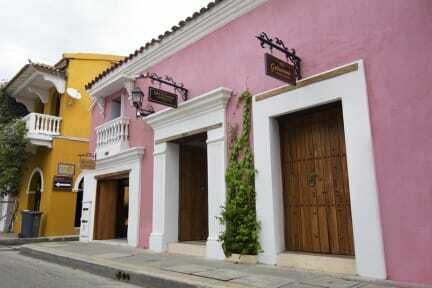 The hostel is located in the Getsemani neighborhood, just outside of Cartagena's historic Old City. The area is surrounded with cultural meeting points such as Trinidad Plaza where guest can enjoy a taste of Cartagena's cultural expositions: music, dance, food, amongst others. Just steps from the convention center, where main city events occur, our location will allow easy access to entertainment in the city. In our property we offer 2 type of shared rooms 4 beds and 7 beds, both with shared washrooms, for a total of 4 shared rooms. Each room has air conditioning and lockers available to store personal belongings. 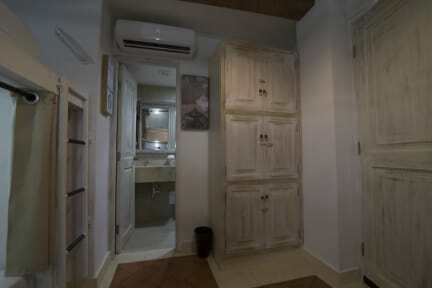 Private rooms have en-suite washrooms, tv, air conditioning. Colombians must pay 19% Taxes.